What could possible taste better than a heart warming bowl of steaming, chunky hot soup on a cold winter’s day? A soup recipe that will become a keeper! 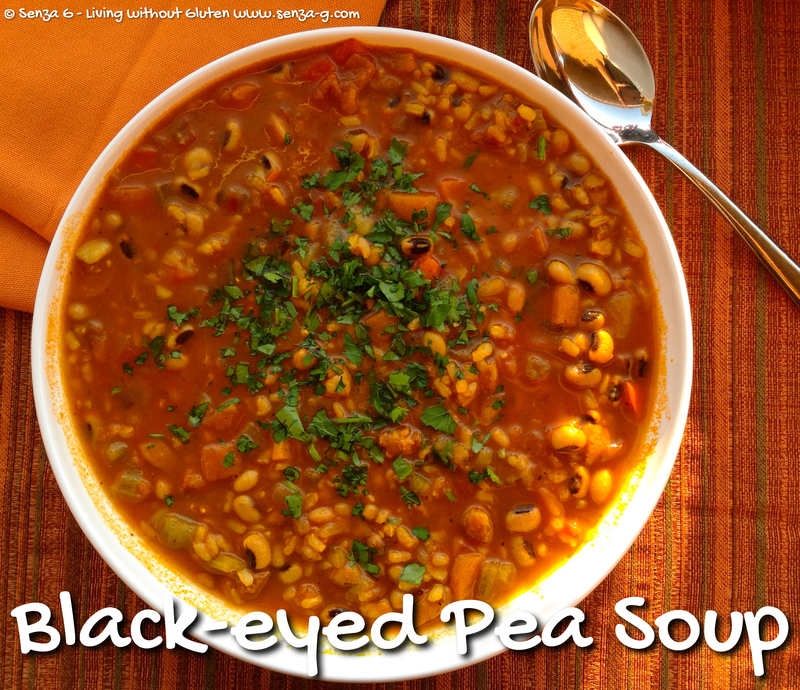 Rinse the black-eyed peas under cold running water and soak overnight in water. The next day, drain and put in a saucepan, cover again with fresh water, bring to a boil and simmer for about 15 minutes. Or follow the directions on the packet you are using. Drain and set aside. Saute the onion. carrots and celery in a little olive oil until soft. Add the pancetta and garlic. Stir and fry for a few more minutes. Add the potatoes, red pepper and the spices, stirring them in and cook for another two minutes. Throw in the crushed tomatoes, adding also the tomato paste, the gluten free vegetable stock, the black-eyed peas, the fresh thyme and bay leaves. Season with salt and pepper. Bring to a boil, lower the heat, cover and simmer for about 30 minutes stirring occasionally and adding some more stock if need be. Add the brown rice and cook for another 15 minutes until the rice, black-eyed peas and vegetables are tender. Before serving, stir in the sesame oil. Serve piping hot, garnished with freshly chopped parsley and grated Parmesan, if desired.